What first attracted you to ceramics? I originally studied fine art at Newcastle, although with quite a 3D slant, as I was more interested in sculpture than painting. 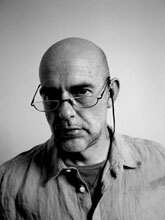 When I left, I naively thought that I would become a sculptor, but soon realised that I needed to make a living and so a friend who was a ceramist invited me to work as a technician in the art department at the school he worked at. My job was to prepare the clay, do glaze testings and fire up a big gas kiln so I had access to everything and soon became seduced by the material. I fell in love with clay because of the way you can do anything you want with it. It’s such a fantastic material and you can use it in all sorts of states from liquid to plastic to even carving into it dry – it’s almost too versatile. 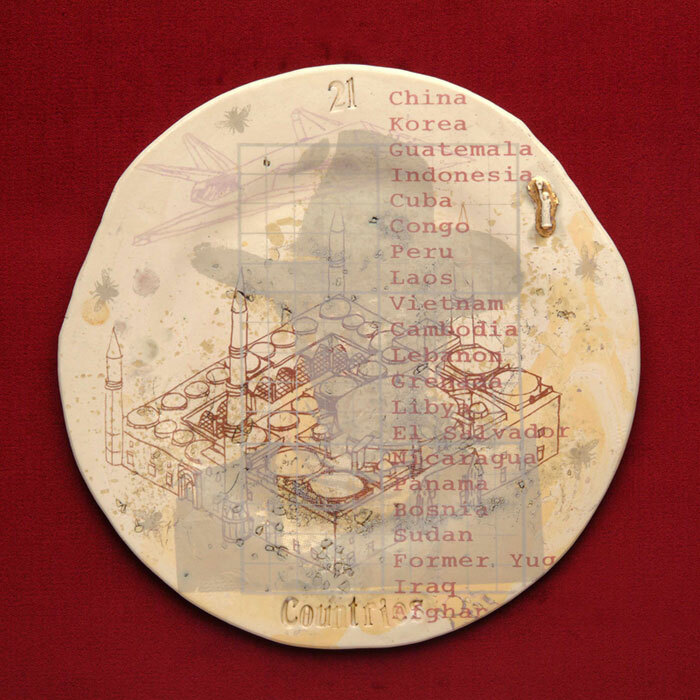 What made you decide to do an MA in ceramics at the Royal College of Art? I had already picked up quite a lot of random things about ceramics, but felt that I needed a bit of a broader education in the technical aspects. It was a very exciting time at the RCA as David Hamilton had just taken over as head of department and was moving the course in a broader, more sculptural, conceptual direction. I was there with some really interesting ceramists like Philip Eglin, Kate Malone and Rosa Nguyen and we were all more interested in making one-off hand built pieces rather than designing more functional pieces. When did you first introduce narrative into your work? Before I went to the RCA I was making Gordon Baldwin-type vessel forms. From the start I was never interested in making functional pieces and more interested in telling stories and making statements. I was never a very good wheel thrower! My first year at the RCA was a very steep learning curve and I tried lots of different things, gradually becoming more confident in using narrative in my ceramics. It was a big penny-dropping moment as I had always been interested in politics but had never previously been able to work out a way to put politics into my pots. This was a big turning point and started me off as a political potter. When you plan a new work, what comes first the form or the message? The message or content of the piece is the most important thing for me. I see myself as a political commentator first and a ceramist second. I am always keen to make a comment about politics or society – or anything that makes me angry when I’m listening to radio 4..
Is it important for you to marry the form of the vessel to its message? 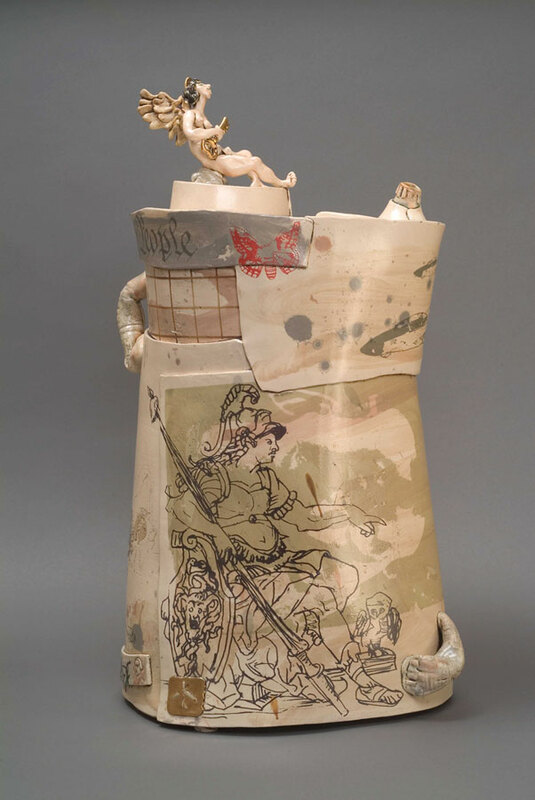 My early pieces were generally in the form of lidded vessels with the lid being decorated with a sculptural tableau which I used to ‘act out’ my message, so the vessels themselves were really vehicles for the lids. In the late 90s there was a shift and I started making softer, less boxy and hard edged vessels and started using print. I wanted to marry the form with the idea, and this led to my series of big oil can vessels. They were about 2 feet high and based on the shape of oil cans which I saw as a metaphor for global politics, particularly during the Iraq War. It meant that there was a much greater correlation between the message and the form of the vessels. How do you combine the form and message in the your current work? My more recent work is a bit more conceptual and diverse. For example, for last year’s British Ceramics Biennial, I made a big installation, about 4 x 2 metres, based on the battleship counter in the Monopoly game. It was made using an internal wooden structure which was then clad in a thick layer of unfired clay covered with clingfilm (to stop it drying out). 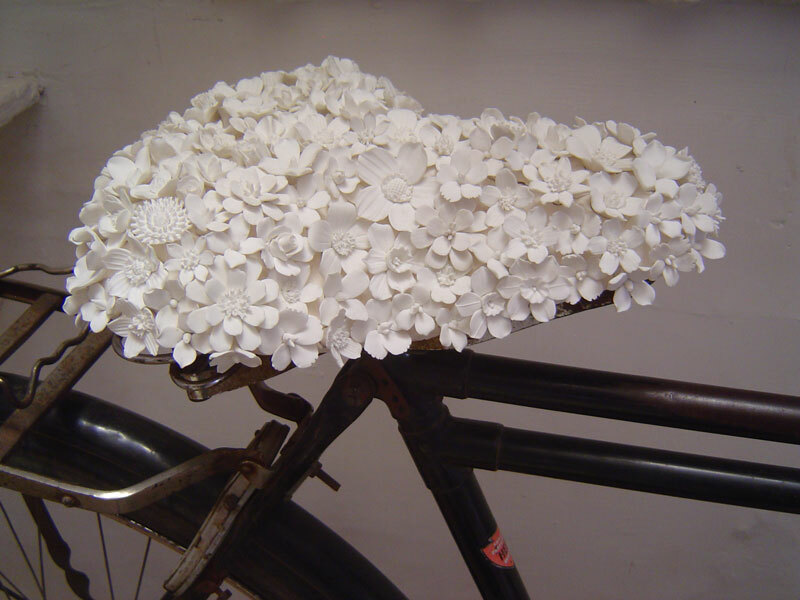 The whole surface was then covered in 30,000 tiny handmade bone china flowers which I had found in a derelict factory in Stoke. Monopoly is the ultimate capitalist game and I thought it was a nice metaphor for the way the bankers had bought the whole world down. Covering the battleship in flowers turned into a sort of wreath for the collapsing economic and capitalist system, as well as for the dwindling British ceramics industry in Stoke. Are you interested in developing your work in other media? Yes, definitely. I don’t particularly want to be pigeonholed as a ceramist and want the flexibility to work in other media and other ways. I recently did a residency at the Jam Factory Studios in Adelaide and started experimenting with more mixed media work there – I was quite pleased to be able to break out from ceramics. I started working with found objects. For one piece, Bush Pantry, I ended up printing the narrative onto old pieces of enamel kitchenware. What are you currently working on and what are your current preoccupations? The politics don’t really change. 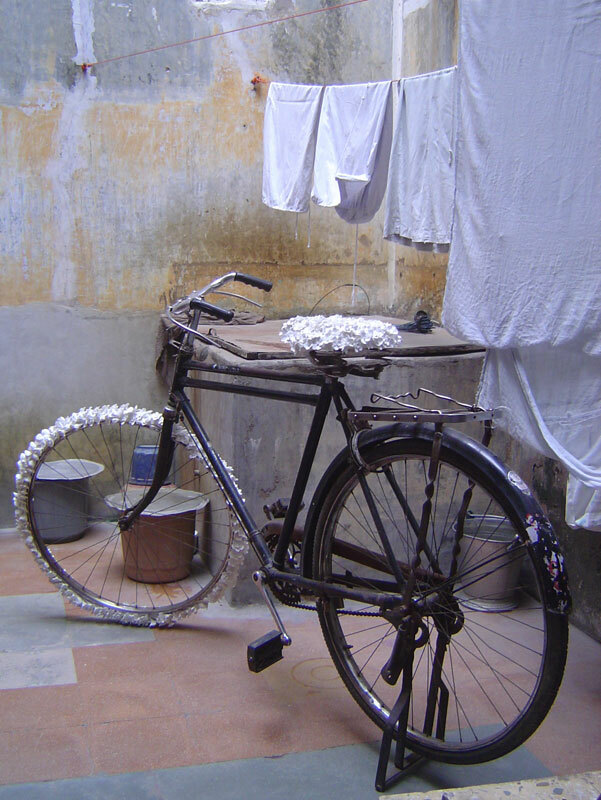 I generally work on several projects at once – for example I’m involved in a project working with historic inner city communities in Ahmedabad in India – so there are lots of overlapping ideas bouncing around in my head. In the UK I’m working on portrait heads. The idea developed from my recent residency gallery at the V&A. I made a series of heads there inspired by 2 or 3 Indian heads in the ceramics collection and the Janus head in Poussin’s picture, Dance to the Music of Time. I felt the Janus head was a great metaphor for the way the museum looks back to its historic collections and forward into the future with its contemporary art programmes while the Indian heads underlined its important multi-cultural element. I am now trying to politicise these heads and am working on a series of heads of prisoners of conscience starting with Aung San Suu Kyi. How important is the actual process of making to you? There always has to be an element of making. It’s very important for me and I get hugely frustrated if I don’t spend some time in the studio. Although I regard my practice as being to a certain extent fine-art based, I have always been more aligned and associated with the world of craft. I don’t have a problem with that as I have a great passion for the discipline and traditions of craft practice.